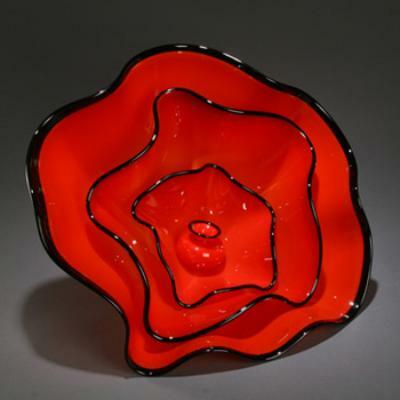 Glass artist Callahan McVay creates beautiful art glass home decor. 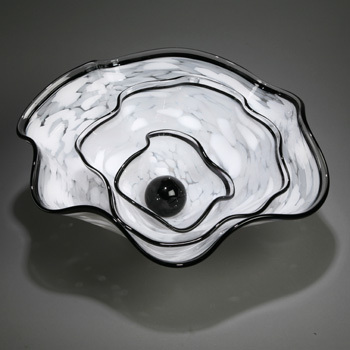 Callahan’s glass creations are often influenced by the oceanic surroundings of his studio on Whidbey Island in Washington State. Raised on Whidbey Island by a band of wild chainsaw-wielding wood artists, Callahan carved his first piece of wood at the age of six, and stayed with the medium for eight years. 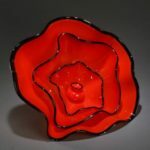 At 14, he was introduced to glass by Bob Mitchell, and quickly became obsessed. The emotional depths of color, pattern, texture and light inspire his artwork. He is captivated by melodic and meditative patterns that emerge one piece at a time. Callahan completed construction of his own studio in 2000. His current art works can be viewed in galleries around the world.